I don't actually mean to constantly post these videos, BUT this one is of special significance, so I apologize if it's not "your kind of thing" to do... but I do believe SOME of my followers will enjoy it! The book of Revelation has always been dear to me, and I've always enjoyed whatever I've been able to learn more about it over the years. This video study is just a bare introduction. 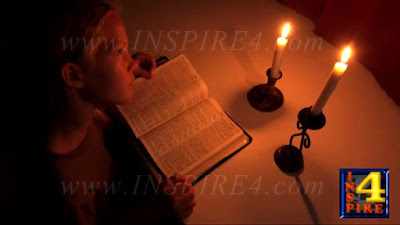 My family was privileged to help with the footage for this one — for example, you will see my "middle" daughter near the beginning reading the Book in candlelight, and that clip was shot by my other daughter, as were several others. Currclick is running a "PAY WHAT YOU WANT" sale for a variety of Math Mammoth books from the Blue series. This sale runs till July 22. BIG NEWS! Have you heard of Homeschool Planet? It is a calendar product for homeschoolers, developed by the Homeschool Buyers Co-op. Grades 1-4 are already available as of today. These plans assign the lessons and tests from Math Mammoth Light Blue series curriculum over a period of so many days, usually around 180-190 days. In the calendar, you can then apply these "days" to the calendar however you want -- even "scoot" them forward if a particular day's assignment doesn't get done. The plan also allows you one-click access to dozens of my instructional videos, assigned to the matching lessons in the curriculum, as well as many additional Internet resources and games -- one for nearly every day of the plan. You can use these resources for additional practice, for review, for illustrations to clarify a concept, or just for fun. Might bookmark this for future use... an INTERACTIVE model of the SOLAR SYSTEM. Kids can see, not only the orbits of the planets, but how fast they travel. You can speed everyone up... and then Mercury looks like it's twirling around so fast it makes you dizzy -- but Pluto is still just crawling along! You can zoom in and out, go backwards or forwards in time, see information about the planets, include comets, moons, etc. It's really neat! I suggest choosing the "realistic model" instead of "orrery model" and realistic sizes instead of "large" from the settings (icon for settings is on the left hand side). Often, children end up believing that all the planets are fairly close to the sun because most of the illustrations show the planets unrealistically large and the outer planets unrealistically close to the sun. I really enjoyed this video on CHASING SHADOWS. There is a really important lesson in it! This just made me LAUGH... so funny! 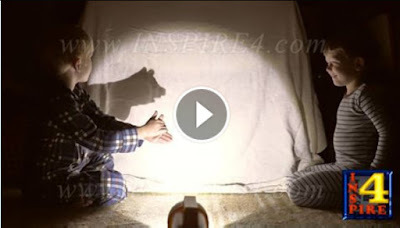 You might have already seen it since it's somewhat of an internet sensation, but if not, it's hilarious... or cute! 2048 game - doubling numbers - addictive! 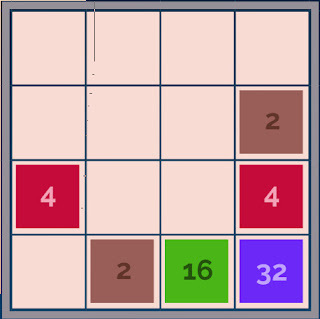 Slide the tiles using the arrow keys, and if the neighboring numbers are the same, the number will double. (ALL the tiles slide when you press any of the arrow keys, in that direction). The numbers keep doubling... can you reach tile 2048? I haven't yet! This is just mind-boggling at first! Check out the video below to see the so-called ambiguous cylinder illusion. This shape looks like a round cylinder... but in the MIRROR it looks like a rectangular cylinder! (Or vice versa...) Amazing! This trick with cylinders/squares comes from Kokichi Sugihara, an engineering professor at Meiji University in Japan.